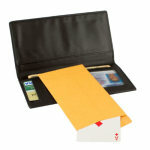 Peter Monticup created an EXTRA online video EXCLUSIVELY for our customers who purchase this Secure Lock trick! Put a lock on a great audience reaction! 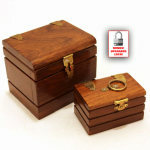 DELUXE heavy duty padlock and keys! 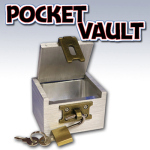 SECURE LOCK is absolutely incredible effect that works like a charm every time! 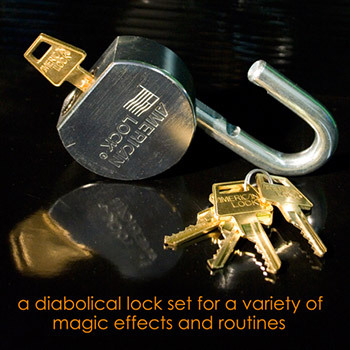 A classic trick that now comes with this DELUXE heavy duty precision-made padlock and keys! First, show that only one of the keys will open the lock. Toss all the keys, including the correct one, into a glass or dish. 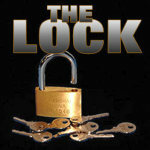 Let your spectator concentrate, and let him choose the key he thinks is the one that opens the lock. Put that key to the side for a moment, then let him try each of the remaining keys in the lock. None of them will open the lock. But then put the selected key in the lock- it works! You ALWAYS know which key will open the lock! This is a very easy to learn effect that you can perform in a number of different ways, too! 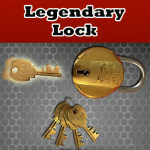 Let a special audience member have the only key that unlocks the lock! 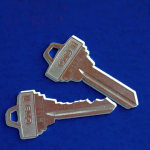 Or let spectators hoose all but one key- the last key left will be the only one that opens the lock! Or have the key held by a particular spectator be the only key that DOESN'T work, as a comedy effect! Or magically turn ALL the keys- or NONE of the keys- into ones that will open the lock! BONUS! You'll get Monticup's own personal BLOCKBUSTER routine! This routine is so entertaining and so incredible that you may want to close your show with it- it is THAT good! Monticup will show you his secret methods for handling the keys and setting up the effect. Then, get ready to bring down the house! You've NEVER seen a routine like this one! 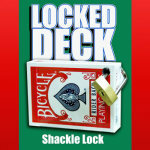 We also offer a less expensive version of this effect called The Lock. 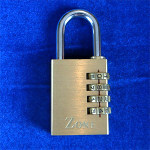 Of course, SECURE LOCK is a much higher quality prop- heavier, smoother operation and much more impressive. And that's all you need!. WARNING: CHOKING HAZARD. Do not put the keys in your mouth. Not suitable for children under 5 years of age. Since you are in control of the key that opens the lock, you can also choose to let your spectator have the successful key instead of you having the key. 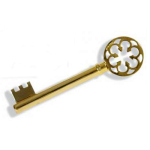 If you are performing at an event in honor of a specific guest (a retirement or birthday party), you can let the guest choose the correct key. If you want to appear to have the power, let your spectator hand you one of the keys and keep the rest to himself. Your key will open the lock, but none of his will. You can also choose to have ANY of the keys open the lock at any time. 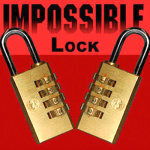 For example, if you have five people choose a key, you can have two people try their keys unsuccessfully, but the third person's key will open the lock.